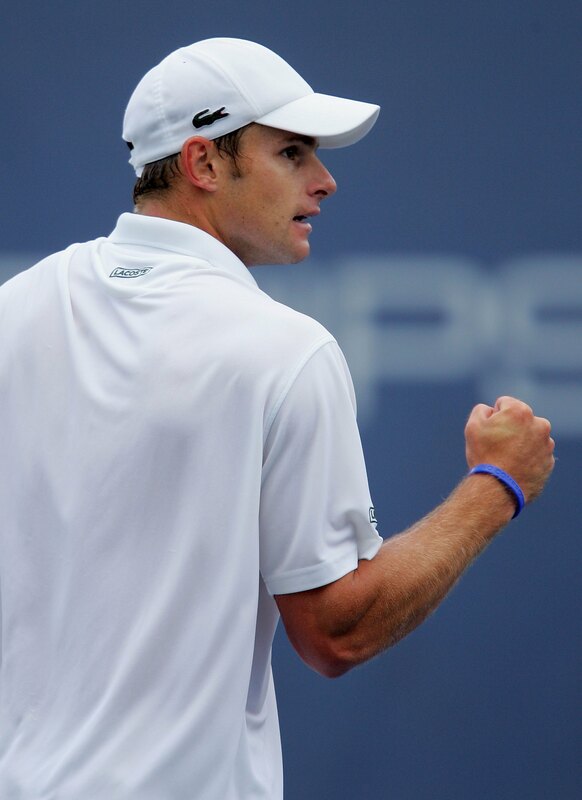 INDIANAPOLIS (AP) -	Andy Roddick used his strong serve to overpower Robby Ginepri 7-5, 6-3 Saturday and move into the final at the RCA Championships. Roddick will play James Blake for the title, pitting the top two players in the United States. Blake, the tournament's No. 1 seed, is ranked sixth in the world; Roddick, the second seed, is ranked 11th. Blake defeated ninth-seeded Xavier Malisse 6-3, 2-6, 6-1 to advance. Roddick, who won the tournament in 2003 and 2004, eliminated the defending champion by winning 32 of 40 first-serve points (80 percent) and 12 of 16 second-serve points. He hasn't lost his serve all week. Roddick is trying to become the tournament's second three-time winner. Pete Sampras won in 1991, 1992 and 1996. Both players held serve until the 12th game of the first set, when Roddick broke Ginepri by winning the final three points. Roddick kept Ginepri on the run in the second set, winning four of the last five points of the sixth game to break Ginepri en route to a 5-2 lead. Blake broke Malisse on his first two service games in the first set before Malisse rallied in the second set. Blake rebounded to control the third set, breaking Malisse twice and winning the first three games and the last three games. Blake said he had to start quickly against Malisse. Blake said dealing with Roddick's first serve could be trouble. Roddick has landed 70 percent of his first serves (149-of-213) this week.